As Amazon's 18 June smartphone press event draws closer, I am reminded of another device which was rumored to be launching this Spring that has yet to see the light of day. In late November 2013 TechCrunch broke the story on a rumor about the next Kindle Paperwhite. That device, which was supposed to have launched early in the second quarter, was going to sport a new super high resolution E-ink screen with a resolution of 300 ppi. Code named Ice Wine, the rumored KPW3 featured radical changes from the design of its predecessors, including a screen which was flush with the front of the ereader (and not recessed), page turn buttons, and a rear shell which looked more like the back of the Kindle Fire HDX than of the existing Kindle Paperwhite. There was also mentioned of new software features including a new font and improve typography. Alas, that device has not launched yet, and I don't expect to ever see it. At this point I am reasonably sure that it doesn't exist. Sure, TechCrunch says they saw a prototype, but they also said that it was going to launch out of season (Amazon likes Fall Kindle launches) and TechCrunch said that it would use a screen which, to the best of my knowledge, doesn't exist. According to my sources, E-ink doesn't have that higher resolution screen under development, much less production. 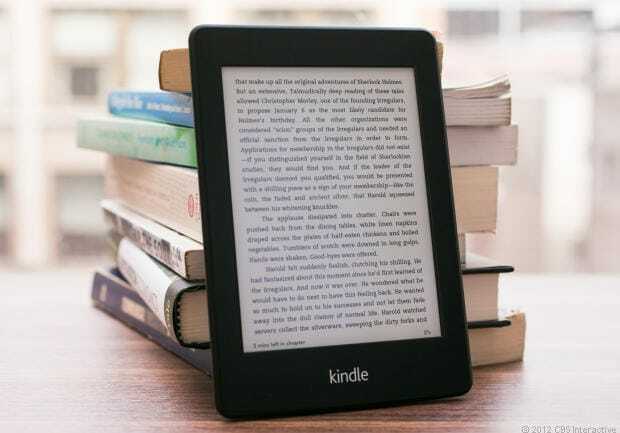 My source told me in March that the next Kindle Paperwhite would have a new screen, but that screen would not have a resolution higher than the existing screen. Instead, the new KPW will have a more flexible and rugged screen based on the Mobius screen tech which launched last year. The existing Kindle Paperwhite uses Carta, E-ink's latest and best screen tech. It has a 6" screen with a resolution of 1024 x 758, and it's rounded design looks almost identical to its predecessor. It lacks all of the design innovations mentioned by TechCrunch, and that should have given us a clue that the TC rumor wasn't true. Not that I am criticizing anyone for believing the TC rumor; it matched so closely with what we wanted to be true that even I believed it without a second thought. That is a mistake which I do not intend to repeat. November 2013! Or am I really lost in time?? I went to the party next week. Question: doesn’t Kobo Aura HD feature a newer model screen than the Carta used in PW 2nd generation? The screen on the Aura HD is based on the Pearl screen tech, not Carta. Pearl as opposed to Carta, but although the Kobo Aura HD has a 6.8” display, its resolution (1440 x 1080) puts it at ~264ppi, whereas the PW’s Carta at 6” (1024 x 758) only packs ~212ppi. That difference is still noticeable to the naked eye at 0.5-1 feet, which is why I’m not sure the PW could claim to feature the newest E-Ink screen out there, 50% better contrast or not (this, I believe, was also part of the reason why a spring release seemed feasible in the first place). To sum things up, Techcrunch dropped the ball on this one, no argument here, but I hardly think the writing was on the wall. I was looking forward to a new e-reader with page turn buttons as an option. Still using my Kindle Keyboard because I don’t really like the touch screens. Ah well, I guess I’ll have to deal when my Keyboard dies. I’m in the same boat, though my keyboard has died. So now I’m stuck between a touch-only Paperwhite, or a light-less basic. Which means I’m just making do with the iPad app until a lit page-turner exists. So much for that! 300 dpi. Page turn buttons. Flush screen. KPW3=voyage. Just a little late. Yep. It was only off by a couple quarters. But the technical details were spot on.